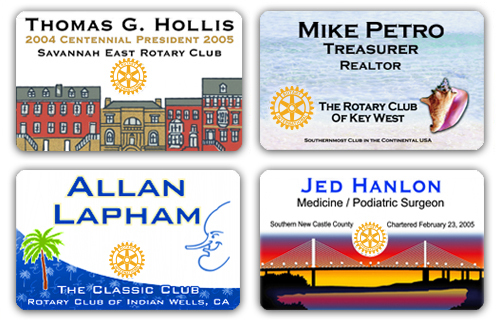 We can design a completely custom name badge for you, your club, or your district. Below are some examples of custom club badges. There is a one-time set-up charge of $40.00 for custom badges. Please click here to email our Custom Order Department for more information. Completely Custom -you provide all artwork.